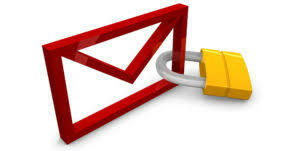 Email security, and the trends we see for it are extremely important and alarming to us here at DTS InfoTech. Why? Because DTS supports small businesses that rely on email, however, these same businesses do not employ computer technicians. In other words, DTS InfoTech is their IT Department and it’s our business to keep our customers safe. Since 2001 we’ve been serving over one hundred small businesses in the Portland Metro Area, in Oregon, for seventeen years. We’ve seen a lot. After many years of advising our customers “in all things email and computer technology in general” and maintaining their computer networks, recently we partnered with Barracuda because of their superior products and service. 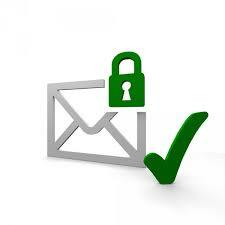 All that said we are thankful to Barracuda who originally created this report entitled Email Security Trends. We have divided this email security report into a series of five blog posts, but you can download the report here. You may asking, “Who is Barracuda?” We’re glad you asked! Barracuda was launched to give businesses an email-security solution that didn’t cost a small fortune. With more than 1 million cloud-enabled products delivered since, Barracuda has continued to disrupt the IT-security market with innovative solutions that every business can afford. They’re on a mission to protect customers, data and applications from today’s advanced threats by providing the most comprehensive and easy-to-use IT-security platform and backing it up with best-in-class customer support. Barracuda’s first spam and virus firewall product became the world’s most widely deployed solution for on-premises email security. Not too bad we think! Today, Barracuda offers easy, comprehensive and affordable solutions for email protection, data protection and network application security. More than 150,000 global customers put their trust in Barracuda to help safeguard their employees, data and applications. Introduction complete. Let’s talk about the report . . .
Barracuda Networks surveyed global IT stakeholders to capture their experiences and attitudes about the current state of email security. The survey includes responses from 634 executives, individual contributors and team managers serving in IT-security roles in the Americas, EMEA (a designation given to a set of countries in Europe, the Middle East, and Africa) and APAC, (a designation for Asia Pacific). Companies surveyed include small, mid-sized and enterprise businesses in technology, financial services, education, healthcare, manufacturing, government, telecommunication, retail and other industries. A wide range of questions captured hard data about ransomware, phishing and other threats, as well as the related business impacts, prevention efforts and email security capabilities most beneficial for stopping attacks that come into your business via email. Email threats are increasing, costs are going up and the impact on staff productivity is escalating. The vast majority of IT professionals believe that end-user training and awareness programs are a vital pre-requisite to help mitigate threats and improve email security. • 87% of IT security professionals said their company faced an attempted email-based security threat in the past year. 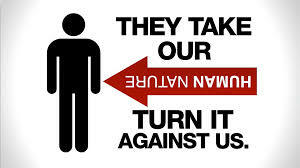 • More than 1/3 have already experienced an attack. • Maintaining an audit trail for compliance purposes, investigating suspicious activity and cutting costs for e-Discovery requests were the top reasons. Larger businesses are more concerned about Office 365 email security; smaller businesses are less concerned. • While the differences are minor, this could be because larger companies have more email data at risk in Office 365, due to having broader deployments rolled out that include SharePoint, OneDrive and other applications. • 100% said end-user training is important to prevent attacks! • Phishing simulation and social-engineering detection were identified as the most beneficial email-security capabilities. • 98% said there are better ways to train employees than traditional classroom-style education, including customized examples that are relevant to an employee’s department and role, unscheduled simulations of typical attacks, training modules that can be done at the employee’s convenience, and rewards for taking the right actions. If you would like more information on protecting your email and data, the DTS InfoTech eBook entitled “Data Backup and Disaster Recovery” can be downloaded free here: download your Free Business Advisory Guide Here. Don’t worry about some sales guy calling you from our office because you downloaded information off of our website. No one from our office will call you; I promise. We don’t like sales calls any more than you do! We understand if you’re not ready to do that, and if that’s the case, then just read these posts when they come out. We post on a regular schedule.